The cartridges for MobiGo® and MobiGo® 2 are compatible with both systems. The only exceptions are the Game Storage Cartridge and the Touch & Learn Game Pack. 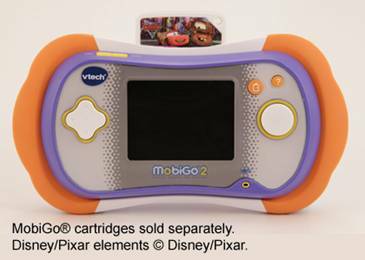 These cartridges are only compatible with the original MobiGo® system. 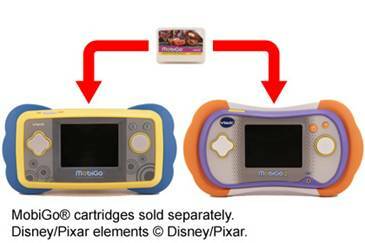 To insert a cartridge, first make sure the MobiGo® is turned off. Locate the cartridge slot on the top of the unit. Insert the MobiGo® cartridge with the label side facing up and push it until it clicks into place. Press the on button to turn the unit on. The cartridge is ready to play. Enjoy fun and learning with MobiGo®!